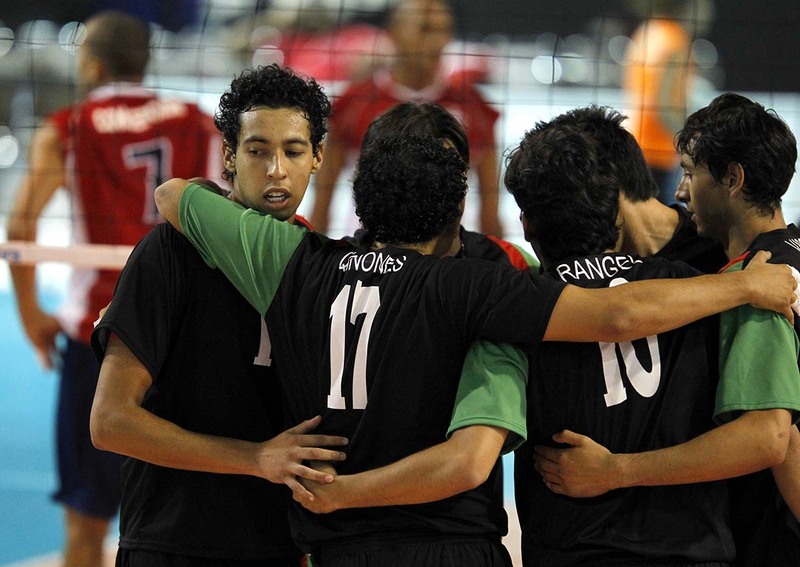 GATINEAU, Canada, June 18, 2011 – The Venezuela-Mexico match was not played on Saturday at the Pan Am Cup men’s volleyball tournament after the Venezuelans withdrew due to a player shortage. Five Venezuelan players returned home before the match and combined with injuries there weren’t enough athletes for Venezuela to field a team. The match goes in the books as a 25-0, 25-0, 25-0 victory for Mexico which finishes fifth. Venezuela places sixth. ‘’We are disappointed we couldn’t play the match,’’ said Mexico’s head coach Jorge Azair. ‘’No one wants to win a match that way. We were happy with the team’s performance at this tournament. We are on the right track. Now for Mexico we begin focusing on being at our best for the Pan Am Games this fall in Guadalajara.